Why not have a ski chair or coat rack made in the colors and brands you love! It’s easy! Simply let us know your special wishes and we’ll get to work. First, we go through our stash of skis and pick out those that best match your description. 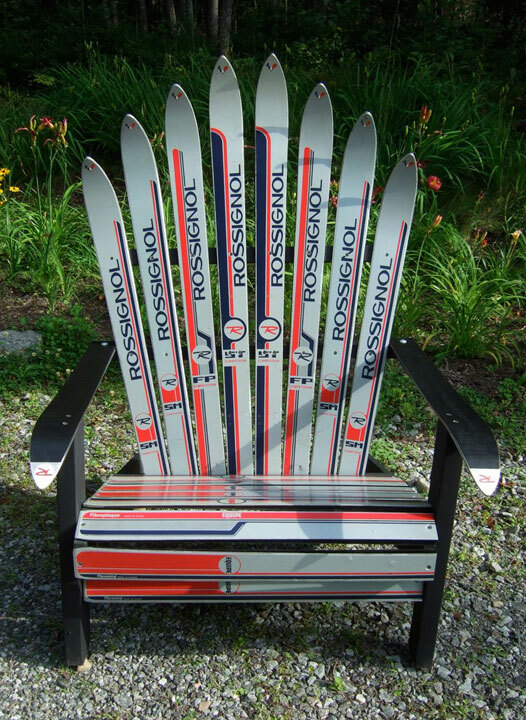 Then, we send you pictures of a variety of ski combinations, arranged as they would be when assembled into a chair. We send as many different combinations as possible so you can choose exactly what suits your taste. 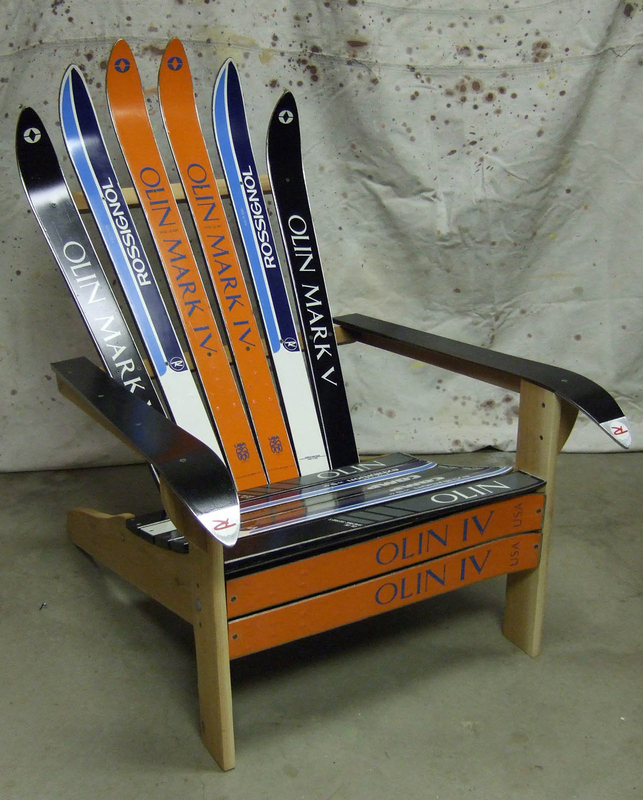 We can build you a chair made from downhill or nordic (cross country) skis, whichever you prefer. Once you select your favorite combination, we build your one-of-a-kind chair. It’s as simple as that! The same customization process applies for coat racks – just let us know what you seek, and we’ll let you know what we can put together for you. Got a bunch of skis you’re sentimental about? 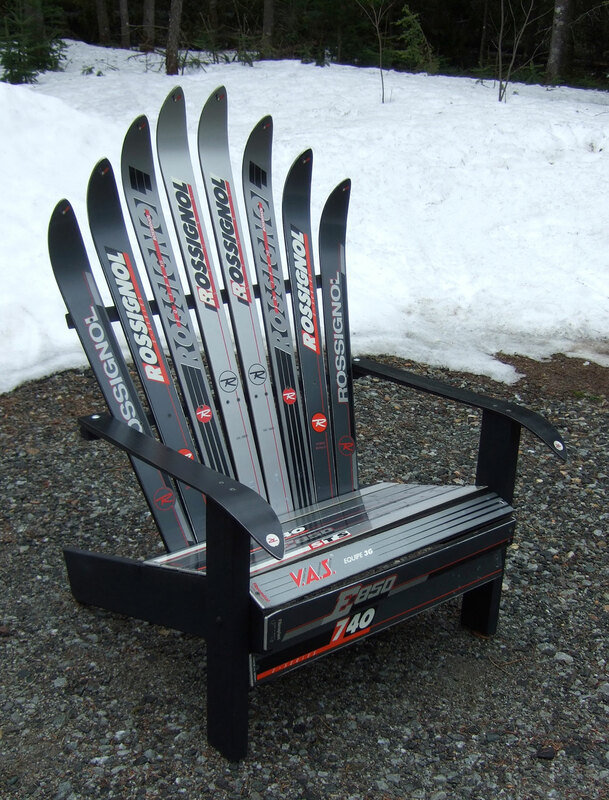 We’d be happy to make a chair or coat rack out of the skis you have piling up in your garage! Just send us an email and we’ll get the conversation going. 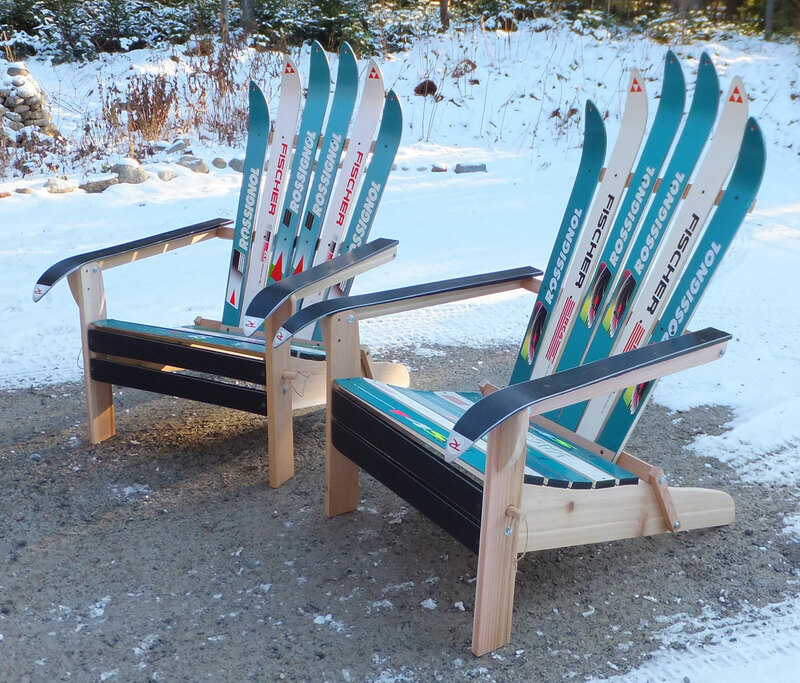 It takes 5-6 pair of skis to make a chair. So we’ll need to know how many skis you have, and their lengths to be sure we have enough to work with. We might be able to modify the design slightly if your skis are too short, and if you have less than 5 pair we can use some skis from our supply to complete the chair. Custom Marla chair, shipped to Wyoming. Custom set of three for Marla and twin sons using grandpa’s K2s and boy’s favorite colors. Base forward on some skis, per Marla’s request. Custom matching set of folding chairs, shipped to Montana. Custom “original style” Rossi chair, shipped to Florida. Custom “original style” Rossi chair, picked up in Lake Placid.